Facebook has the ability to attract new clients to your business in ways that no other social media platform can. Gone are the days when your were forced to have a 1 page graphic for a facebook fan page. Now , with the right web designer you can embed an entire web site or blog into your Facebook business page! 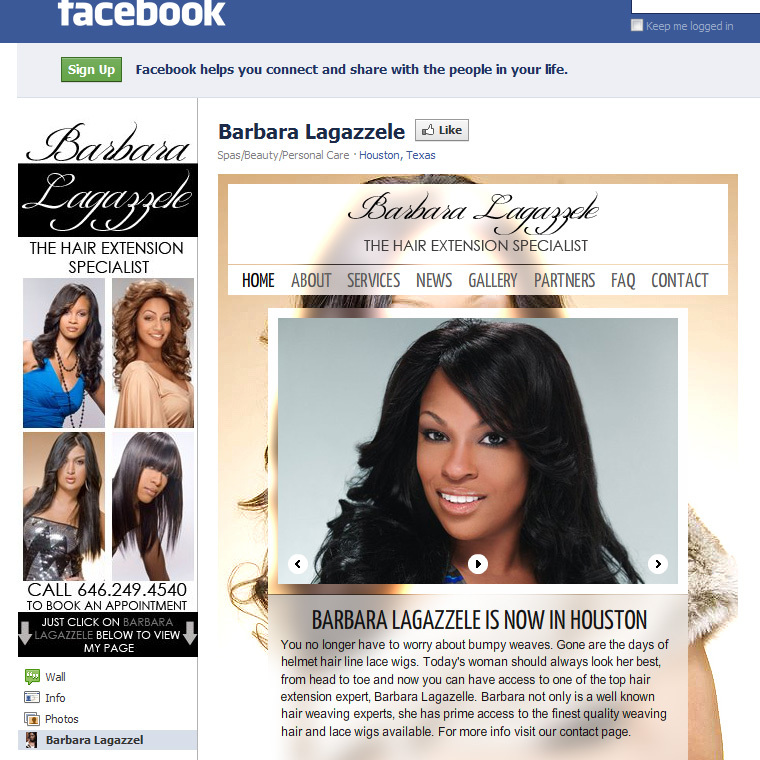 Celebrity Hairstylist Barbara Lagazzele hired me to design a stunning , facebook business page for her hair extension service . I gave her the ultimate sleek and sophisticated clean look she was asking for. This is a xml flash based fan page that is actually a mini-site with multiple pages and multimedia features. Your Facebook business page is ready to be taken to the next level. Hire me to do so. View Barbara Lagazzele’s Facebook Business Page by clicking this link.